Emirates will be suspending all of its daily flights to NGO-Nagoya, Japan from March 29th onwards. It currently flies a daily A 343 on this route nonstop from DXB and gets a lot of feeder traffic from Brazil (GRU) on this flight. No official reason has been given for the suspension but one feels that route revenue expectations fell well below acceptable levels plus NGO's economy has suffered a downturn due to the flagging automobile industry which is based there. KIX - capacity increased from daily A 345 to daily B 773ER effective March 29th due to NGO flights being suspended. TIP - capacity adjusted from daily A 332 to daily A 343 effective Oct 1st. BLR - capacity increased from daily B 772A to daily B 773A. PVG - frequencies to be increased to 5 times daily i.e. triple daily B 772As and double daily B 773As. ZRH - frequencies reduced till late June from double daily to 12 weekly nonstop flights. SGN - frequencies increased to triple daily. ATH - 3rd weekly flight to be re launched from mid June. DPS - frequencies reduced to triple daily B 772As from four daily flights. HKG - frequencies reduced from 6 to 5 daily flights. Gulf Air has revealed on the GDS systems that it will be increasing its flights to Bangkok from July onwards to 13 times a week nonstop. Currently, flights are flown 11 times a week nonstop. The breakdown of aircraft used for the 13 weekly flights are 3 weekly A 332s + 10 weekly A 343s. According to Flight Global's website, GF is too examining the possibility of using these B 77Ws to launch a new service nonstop from Bahrain to an American east coast city. The only East Coast city worthy of a GF flight is ORD due to the strong relationship that GF has with AA which has a mega hub at ORD thus providing useful onwards feeder traffic via a code share. ORD too for the time being sees no flights on offer from EY/EK/QR/KU hence an ideal opportunity for GF to exploit if it is serious on flying to USA this year. GF would need to use 2 B 77Ws for a daily BAH-ORD-BAH service so if they get 4 from 9W, the other 2 can be used for daily LHR (GF 007 / GF 002) + daily BKK bound nonstop flights. With these flight timings, every single GCC + Indian subcontinent destination (except KTM) that GF flies to connects beautifully with this flight in both directions via BAH. Also to/from ORD, major cities with UA or AA connect too such as ORF, LAX, SFO, IAH, DFW, SEA, DTW, EWR, IAD, DCA and MIA. Cathay Pacific has confirmed on the GDS systems that it will be increasing its flights to Los Angeles, USA from the on set of the IATA Winter 09-10 timetable to from the current double daily services to 17 weekly nonstop flights using a B 744 for 15 flights where as the remaining 2 will be operated with a B 777-300ER. The extra flights will be flown on TUE/THU/SAT only. 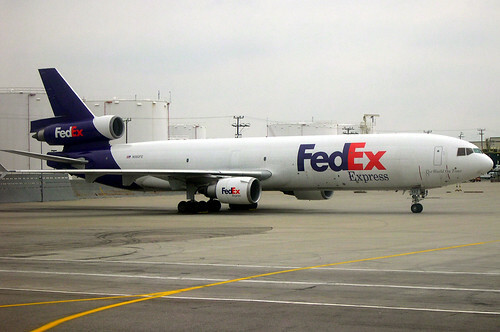 Fed EX has officially confirmed that it has signed a deal with Boeing for the purchase of 15 additional Boeing 777-200LR freighters in addition to the current 15 that it already has on order with the aircraft manufacturing company. This will bring the total number of new wide bodied freighters ordered by the cargo giant airline to 30 B 77LFs thus making it the airline with the largest freighter fleet of B 777Fs. Virgin Nigeria will be cancelling its 2 core long haul routes to London Gatwick and Johannesburg from this month onwards and thus will be returning its fleet of wide bodied Boeing 767-300ER jets. The carrier made huge losses in 2008 and now looks to concentrate on its primary services which are regional flights within Western Africa and domestic operations in Nigeria where it makes decent money. Malaysia Airlines will be reducing capacity to Bangalore and Hyderabad from June as the carrier looks to adjust it with forecasted demand. With regards to BLR, MH will reduce capacity from 5 weekly A 330s to 4 weekly B 738s + weekly A 330. As for HYD, all of its flights will see B 738s being used instead of A 330s. China Airlines of Taiwan has announced that it will be increasing its flights to Sydney, Australia from March 29th from the current 4 weekly to daily nonstop flights. CI will be using a 2 class Airbus A 330-300 for all the flights. Air France has officially confirmed that it will be increasing capacity to LOS-Lagos, Nigeria from March 2nd from a daily 2 class configured A 330-200 to a larger 3 class configured Boeing 777-200ER as the airline sees a lot of F/J class traffic potential from this oil rich country. AF and Airbus have too informed the media that the A 380 will be used for daily summer seasonal flights to IAD-Washington DC in 2010. 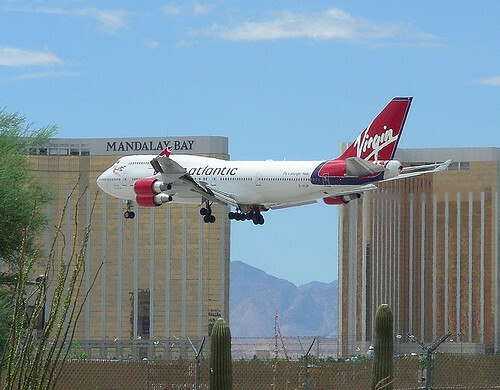 Virgin Atlantic and BMI have entered into a mutually beneficial code sharing agreement that will see VS's code being put on BD's flights on key Middle Eastern routes that would help feed VS's strong trans-atlantic network. The cities that VS will be codesharing from LHR in the Middle East are Tehran, Amman and Beirut. KLM has announced that it will be increasing capacity to NRT-Tokyo, Japan during the peak summer season between July and September only. During this time, it will deploy a full B 747-400 passenger version alongside the Combis and B 772ERs. As a result, its new capacity on the AMS-NRT route will be 2 weekly B 744s + weekly B 744 Combo + 4 weekly B 772ER.